Not very long ago, the ash trees of Pennsylvania suffered at the hands of the emerald ash borer. Luckily, that seems to be under control. 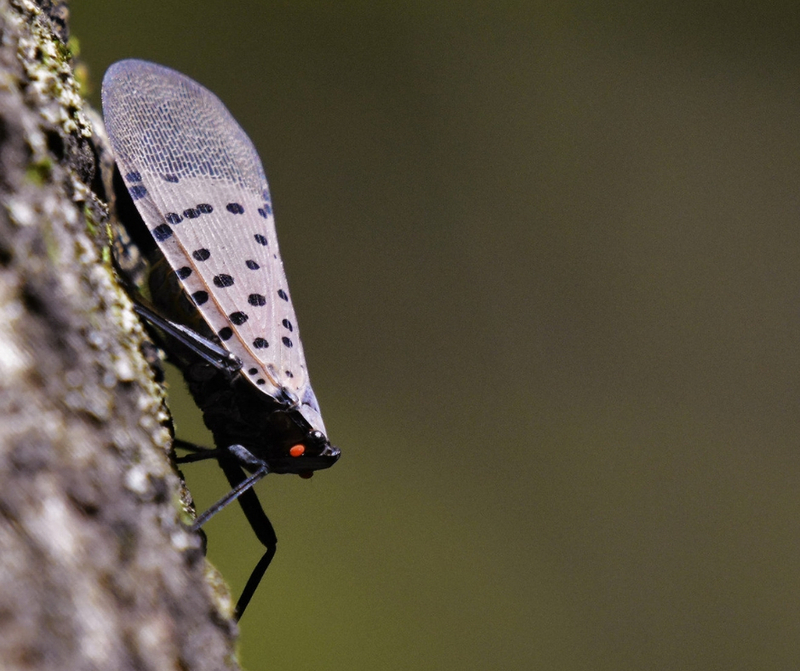 Unfortunately, today, we’re battling a different foe: the spotted lanternfly. 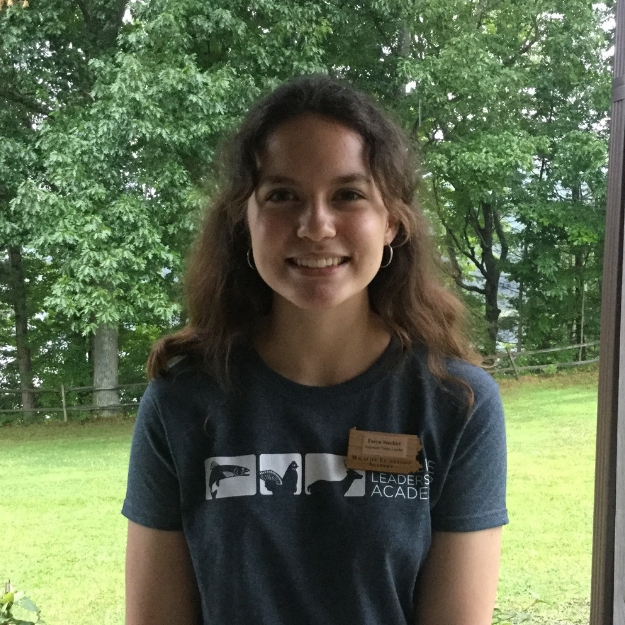 Now, they may not have reached the western side of Pennsylvania, but in my home county of Bucks, they run -or fly- rampant. However, on the chance that you do see this spotted fiend, it’s important to know where they come from and what you should do. A spotted lanternfly that has fallen victim to a shoe. 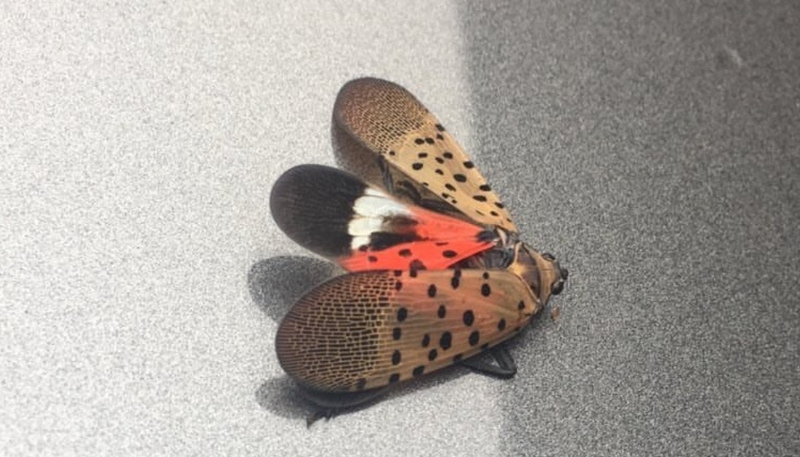 To begin, the spotted lanternfly, or Lycorma delicatula, hitchhiked its way to the USA from Southeastern Asia. Their exact origin is not known, but they most likely arrived as larvae on wooden shipping pallets. Since then, they’ve made their home on a common invasive roadside tree species: the Tree of Heaven. This lanternfly, which is technically a planthopper, has an unmistakable image. Their forewings come into view at first as a mousy brown with perfect black dots. However, they appear a bit iridescent in the sunlight. Underneath, their lower wings hold a striking scarlet color, also with black dots. These underwings have black and white tips, and the abdomen is horizontally striped. At first glance, you may think this is a striking, beautiful insect. But don’t let their looks deceive you! These flies feed on several species of trees and even crops, including grapevines. After attacking the said plant, their victims develop deep gashes and wounds which release sap. This only further encourages other insects to feed, which gradually kills the tree or crop. 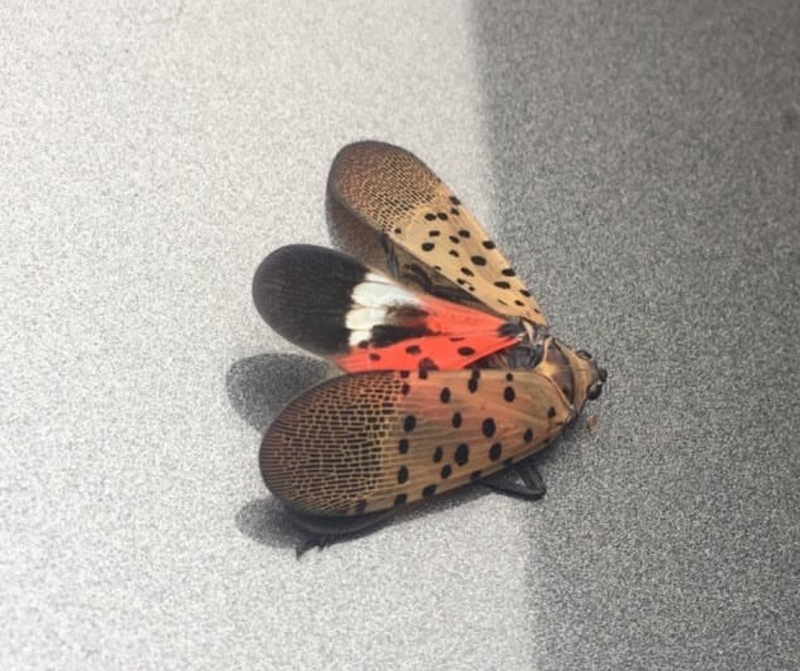 Unfortunately, the spotted lanternfly has no native predators on the American east coast (although my friends’ chickens have been seen snacking on them!). Therefore, it is up to us to eradicate them. If one is to identify egg masses, which have the appearance of dried mud, they are to take immediate action. The best way to do so is by scraping the masses into a plastic bag or container filled with either rubbing alcohol or hand sanitizer. One should always check on their cars, homes, and underneath outdoor furniture, like picnic tables, for egg masses. At this time of year, you’re more likely to find an adult lanternfly. Though it may seem harsh, it is very important to kill the insect. If you’re against hitting it with a flip-flop, my parents have found that if you hold an empty, open plastic water bottle up to the fly, it jumps right into it. If you use this technique, be sure to seal the bottle afterward. 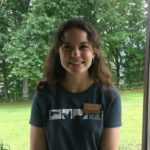 No matter what life stage you find them at, the Pennsylvania Department of Agriculture strongly advises citizens to send in specimens, pictures, or to call the Automatic Invasive Fly Species Report Line at 1-888-4BAD-FLY. In your message, you should include the location you found the fly and any other vital information you can think of. It’s incredibly important for everyday citizens to take action and spread the word on this adverse insect while it’s still in the early stages. Together, we can protect the rest of America from this destructive species. The second photo was taken by Amelck via Flickr Creative Commons. You can view the original post by clicking here.